Our bed and breakfast accommodation is situated just outside the village of New Waltham between Grimsby and Cleethorpes, in North East Lincolnshire. 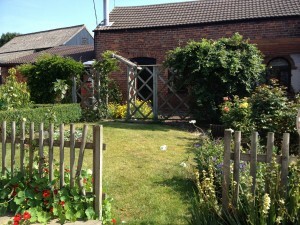 The farm has excellent access to the surrounding area. The towns of Grimsby and Cleethorpes are within easy reach. The beautiful Lincolnshire coast and Lincolnshire Wolds are only short drives away, with lots of interesting places in between to visit. The Humber Bank industrial area is only a few miles away for anyone who is in the area on business. The nineteenth century farm buildings have been converted to offer comfortable en-suite accommodation retaining their original style and character. 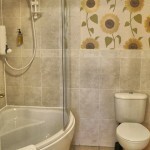 We have six rooms available with a variety of single, double and superior larger rooms which are all en-suite with either a bath or a shower. TV, tea and coffee making facilities are provided in all rooms. All rooms are ground floor level. We are a working farm and therefore have ample, safe, off road parking within the farm grounds. As we are away from the hustle and bustle of the town we can offer a peaceful environment and the opportunity to see a variety of wildlife including hares, deer, game birds and for the more domestically minded our “herd” of chickens! 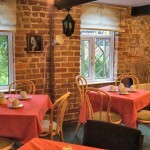 The dining room is in the old granary, where we look forward to serving you a wholesome farmhouse breakfast. Many of our guests comment on the freshly cooked breakfasts and choice from the buffet selection – including our home-made preserves. 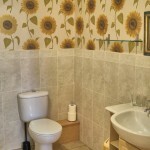 Single room: £35 per night. 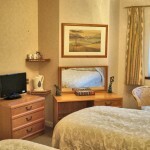 Single occupancy of a double room: £39 per night. Standard double: £70 per night. 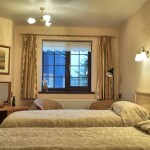 Superior double room: from £75 per night. All prices are per night and include breakfast and we accept all major credit cards. We ask for a £20 deposit when the reservation is made. If the deposit payment is not received within 5 days of the reservation, it will be cancelled. We look forward to meeting you whether you are in the area on business or for recreation and making your stay at the farm an enjoyable one.